One Saturday morning in late December I checked the dojo mailbox and found a package addressed to me. The package contained a book self-published by Tom Collings. Tom and I don’t know each other, but he sent me the book, and I suspect several other dojo cho, with the request that I submit a review on Amazon. I finished the book on a flight to Hawaii and happily submitted the following review. I’m sharing this review as a Blog article because the book is an interesting and fun read for any aikidoka. Searching for O’Sensei is comprised of three distinct themes. The first half of the book describes Collings’ entry into martial arts, ultimately earning a black belt in Aikido in the mid-1970’s. He then moved to Japan to study Aikido and related arts. The vivid, first person accounts of his experiences with many of the most prominent figures in post-war Aikido provide priceless insights into the characters and training philosophies of these men. Most serious Aikido students and instructors would enjoy the interesting contrasts. After returning from Japan in the 1980’s, Colllings becomes a clinical social worker and then a parole officer in New York City. In this part of the memoir he presents many hair-raising, usually danger-filled experiences from nearly three decades in these professions. 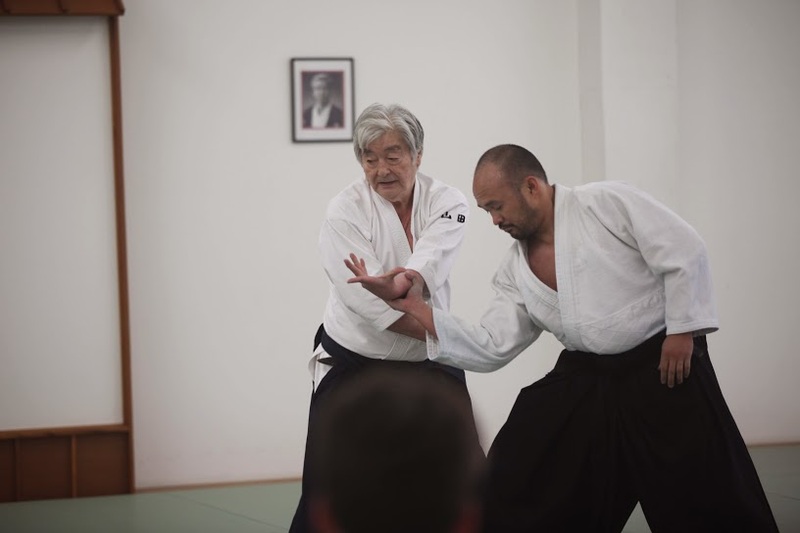 His attempt to link these stories with principles of Aikido or to the philosophy of O’Sensei (Founder of Aikido) is mostly successful, but a few of the links seemed somewhat tenuous. Nonetheless, these stories are a fun read for those in the martial arts or not.